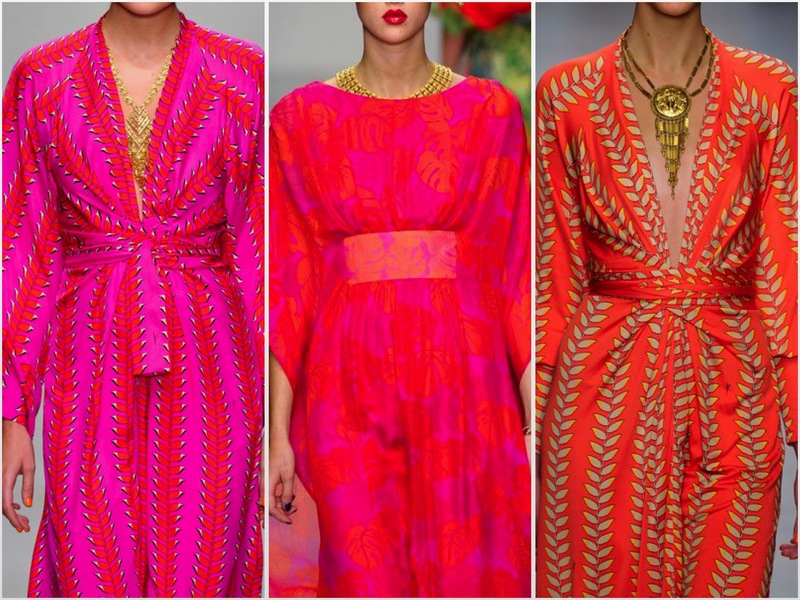 The Fashion Guide Blog : Tip of the day: how to wear a kaftan. For those of you that might not be familiar with this piece of clothing, the kaftan is a front-buttoned coat or overdress, usually reaching the ankles, with long sleeves. It can be made of wool, cashmere, silk, or cotton and you can wear it with a sash or belt. It’s a variant of the robe or tunic, versions of which have been worn by countless cultures around the world, for thousands of years. The kaftan is associated with Islamic cultures in which Kaftans were often worn as court robes. As you can see this piece of clothing has a long history and the fashion industry has revisited it several times, mainly during summer collections. Kaftans can be really versatile and you can even wear them from morning to evening, changing the look with accessories. 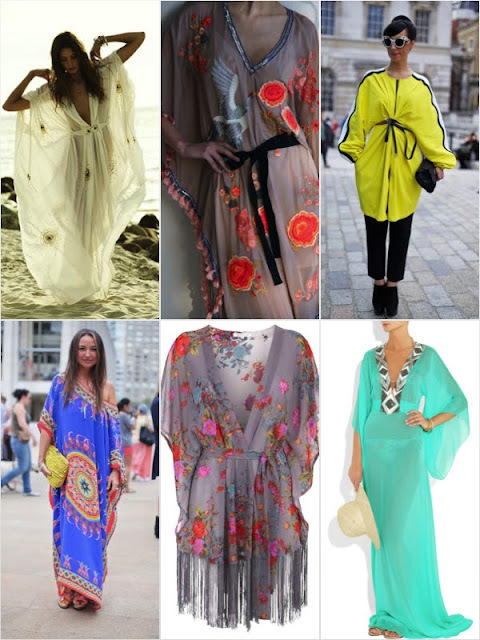 Summer season is a fantastic time for wearing a kaftan and we have seen it on many catwalks during fashion weeks. I should also mention that even the basic design of the kaftan has been updated so now you can see them shorter, longer and even with fringes giving them a twist and making them looking even more up to date. Allow yourself the comfort of a lifetime by wearing silky smooth Beach Kaftan Dresses from Indianbeautifulart. The next best thing to naked!